Termites are wood dwelling insects capable of constructing complex and enormous mounds. They are the world’s most indigenous builders. They build high-rises without any technical device. Also they are the world’s only animal which has managed to build an air conditioning system without electricity. The top of the mound consists of a central chimney which is surrounded by an intricate network of tunnels and passages. Air travels through the porous walls into a series of small tunnels until it reaches the central chimney and rises up. When fresh air mixes with this warm air, the air cools and sinks down into the nest. This ventilation system constantly circulates the air and ensures that oxygen reaches the lower areas of the mound and keeps the nest from overheating. Their mound contains many chambers such as a nursery, fungal gardens and a royal chamber. 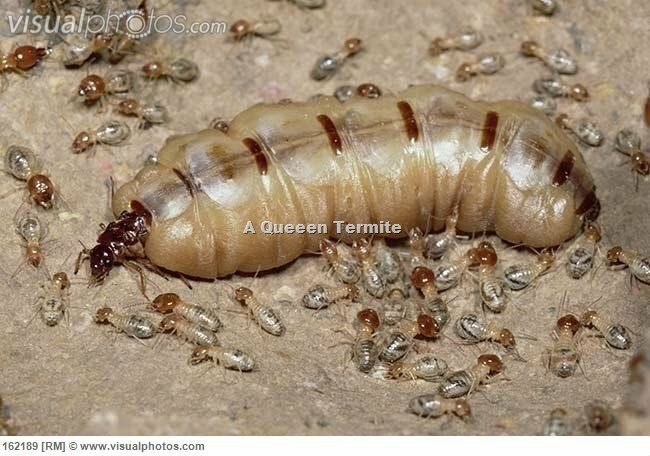 Termites have 2 major castes. One is the reproductive caste which includes both primary and supplementary reproductives. The other is the sterile caste which contains both workers and soldiers. The primary reproductive are the queen and the king which participate in reproduction. The supplementary reproductives are also capable of egg production but are temporarily prevented by doing so in the presence of the queen. The workers are sterile wingless and blind males and females having less sclerotized bodies. Their jobs are cleaning, foraging and nest construction. They live up to 2 years. The soldiers are again sterile, wingless and includes both males and females. They have large mandibles and heavily sclerotized bodies for defending the colony. They are being fed by the workers. The queen was once a female with wings and after the emergence of wings they fly up to the sky and find a mate. Then they find a suitable place to start a colony. They take off their wings, go underground and never come up again. 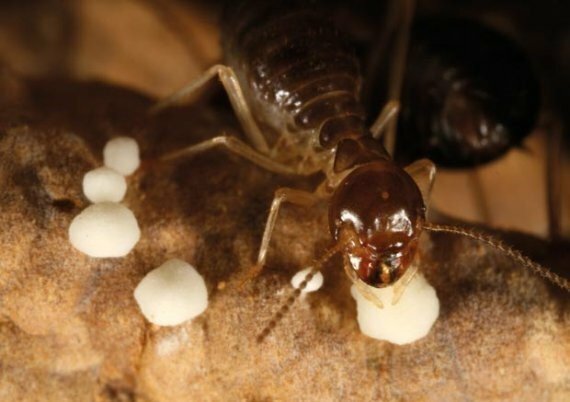 The queen and the king are the founders of the colony and stays with each other for the rest of their lives, mating, producing about 30,000 eggs per day!! She is a reproductory machine; a super individual and the mother of all individuals in the colony. She grows up to 17mm in length and the largest queen that had been found measured up to 10cm long. She lives up to nearly 50 years. The king is half of her size. to move with a morbidly obese body. The eggs that she lays are collected by the workers from the royal chamber that the queen lives in and are kept in the nursery where they will be looked after by the workers until they turn into adults. The supplementary reproductives replace the queen when she dies or she is old. 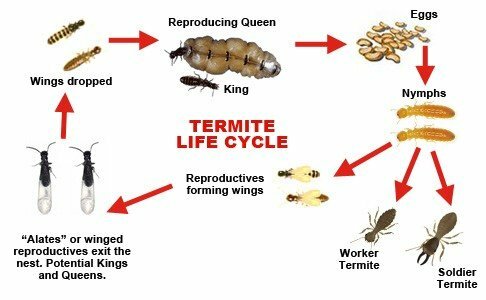 The supplementary reproductives are prevented from reproducing in the presence of the queen by a pheromone (a chemical substance) that she produces. When she is old the pheromone production becomes deteriorated and the supplementary reproductives are no longer inhibited from reproducing and becoming the new queen by replacing the old queen. The fungus gets a substrate to grow and flourish in. Rouland-Lefèvre, C. [Symbiosis with fungi.] 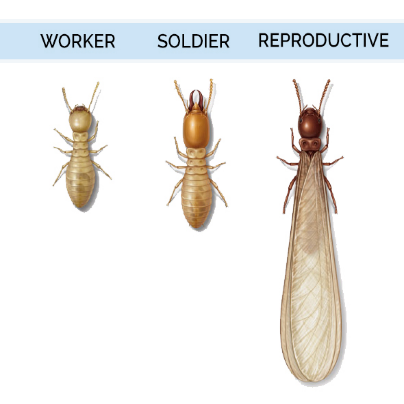 Termites: evolution, sociality, symbioses, ecology[Abe T., Bignell D. E., Higashi M. (eds.)] [289–306] (Kluwer Academic Publishers, Dordrecht, 2000). Nobre, T., Rouland-Lefèvre, C. & Aanen, D. K. [Comparative biology of fungus cultivation in termites and ants.] Biology of Termites: a modern synthesis[Bignell D. E., Roisin Y., Lo N. (eds.)] [193–210] (Springer, Heidelberg, 2011). Hey! I’m Yasara de Mel from Colombo, Sri Lanka. I’m a Science undergraduate at the Open University of Sri Lanka majoring in Zoology. As an individual with a desire to help animals from very young age, I have always wanted to learn about the world of animals. My ultimate goal is to be a voice to the voiceless and conserve nature in the process. I love sharing my knowledge with anyone who is interested in this Zoology because it’s a field which is full of mysteries and interesting facts. I finally found a place where I could share my knowledge with not just few people but the world! I got to know about Nerdynaut through a friend at our university. This platform is ideal for young students like us who are eager to learn and share our knowledge. I thank Nerdynaut for bringing our inner hidden talents to be used for the sake of future goodness.